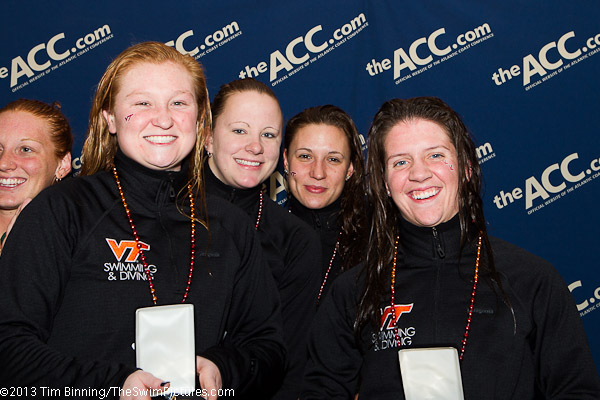 The winning Virginia Tech 200 medley relay team of Sabrina Benson, Alyssa Bodin, Katarina Filova and Heather Savage. 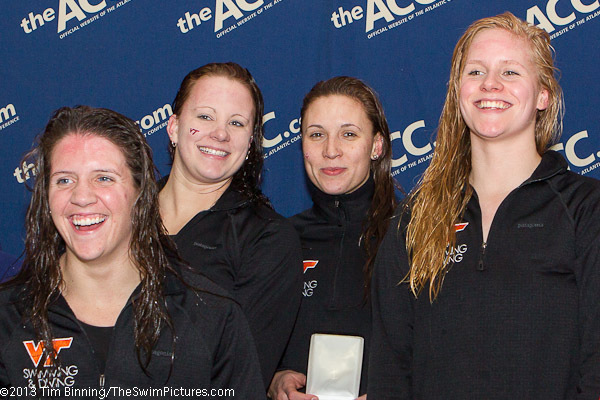 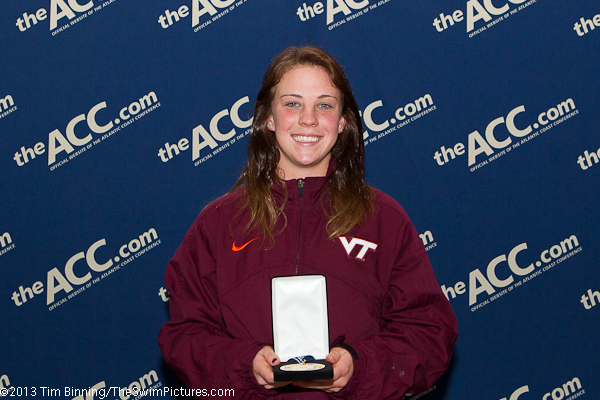 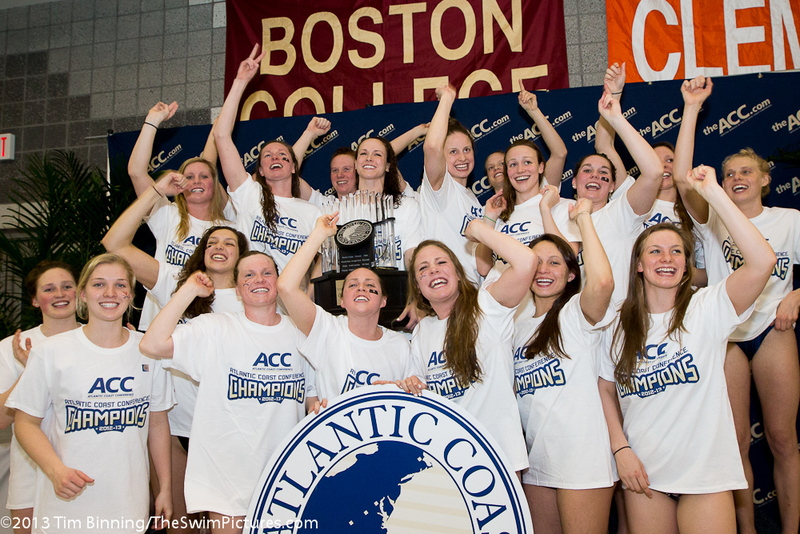 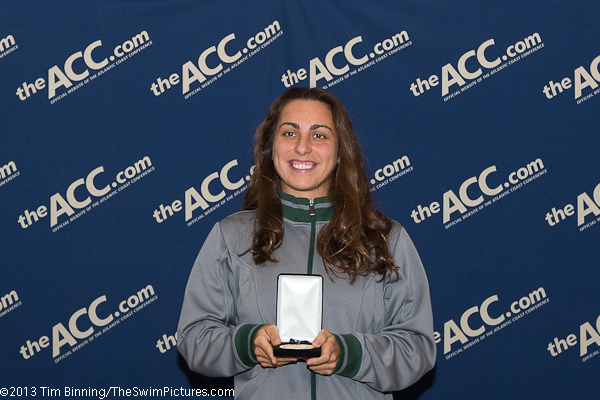 The Hokies won the event in an NCAA "A" qualifying time. 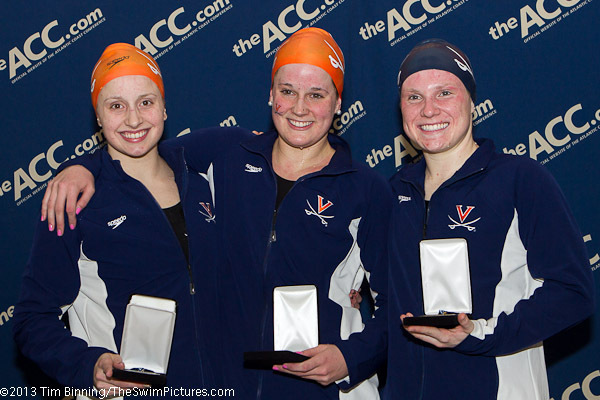 Rachel Naurath, Caroline Kenney, Ellen Williamson, Lauren Perdue. 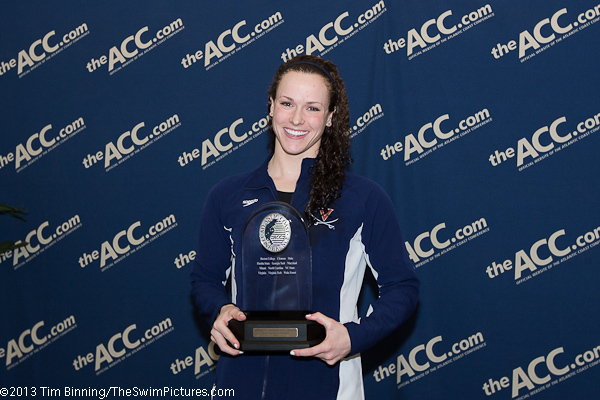 Ariel Rittenhouse of Florida State dives to victory in the 3 meter event. 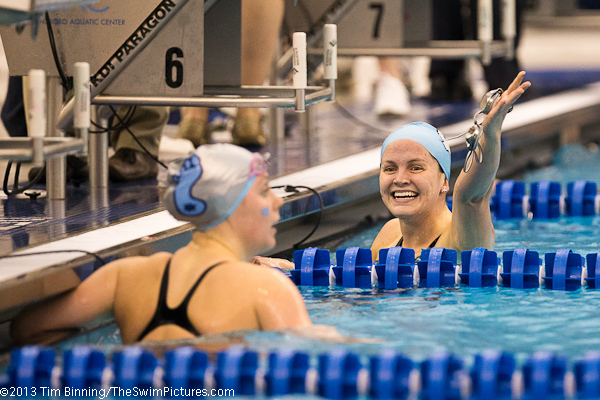 The North Carolina State team of Allison Hendren, Hannah Freyman, Marifrances Henley and Riki Bonnema celebrate a victory in the 200 free relay with coach Braden Holloway. 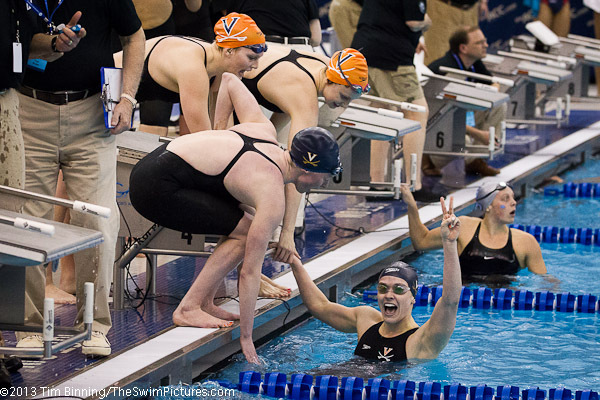 The team's 1:29.60 was an automatic NCAA qualifying time. 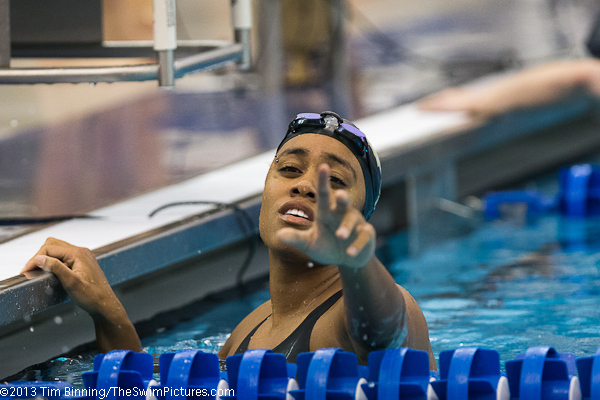 Florida State took second in 1:29.76, also an NCAA automatic qualifying time. 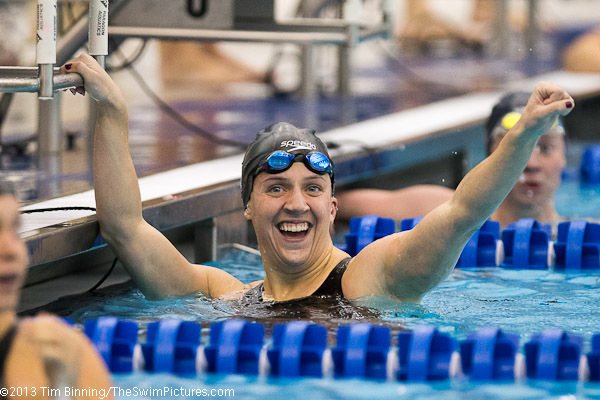 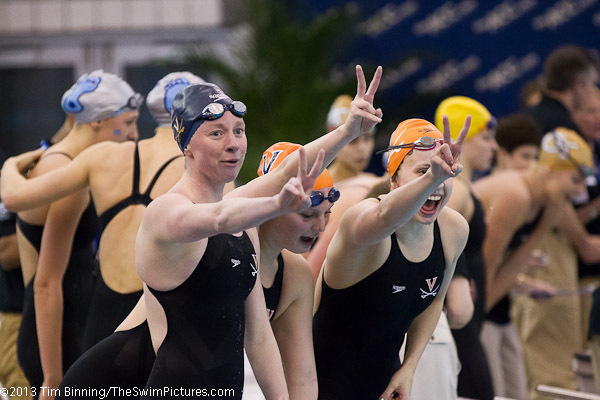 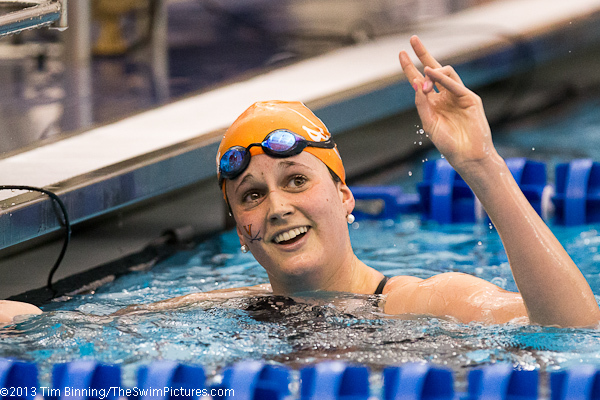 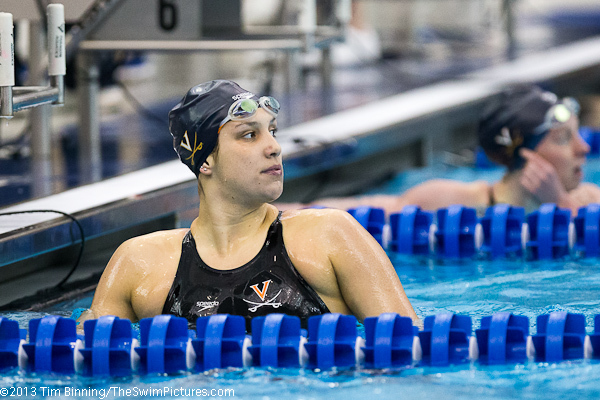 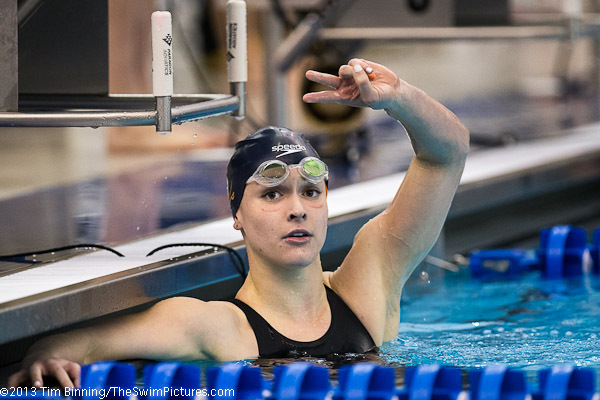 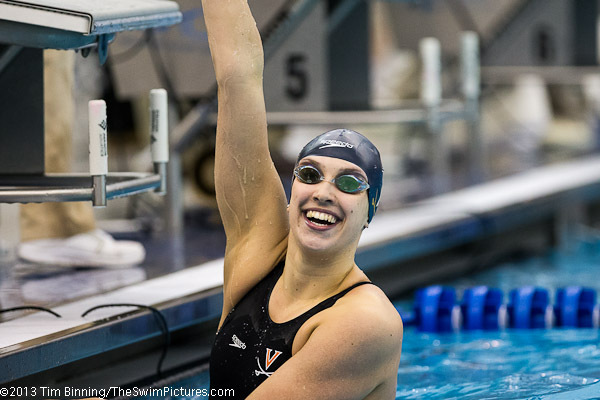 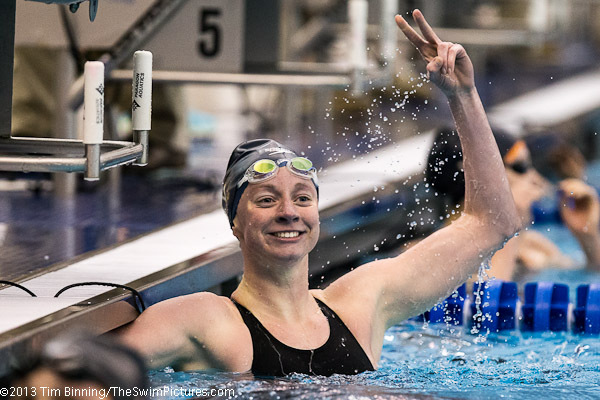 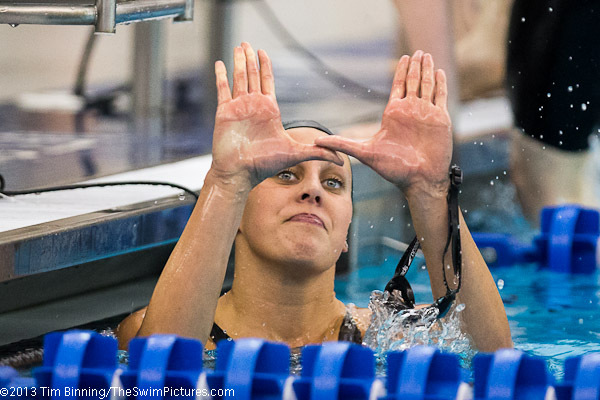 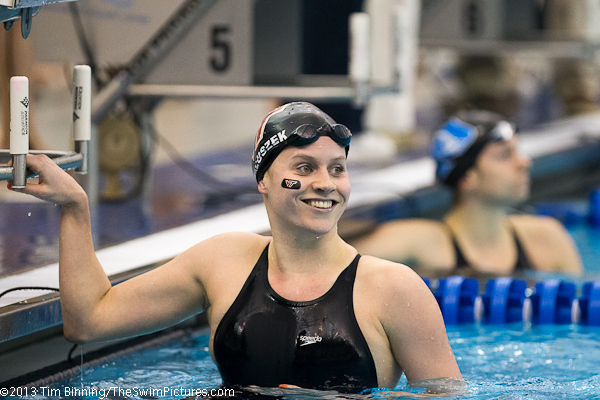 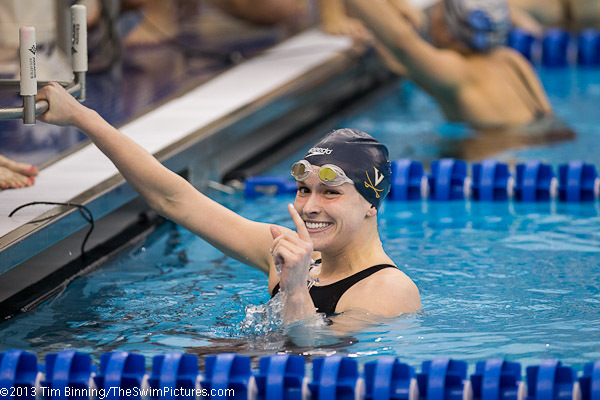 UVA sophomore Kelly Offutt celebrates a victory in the 500 free going 4:39.05..
UVA sophomore Ellen Williamson celebrates a win in the 200 IM championship final. 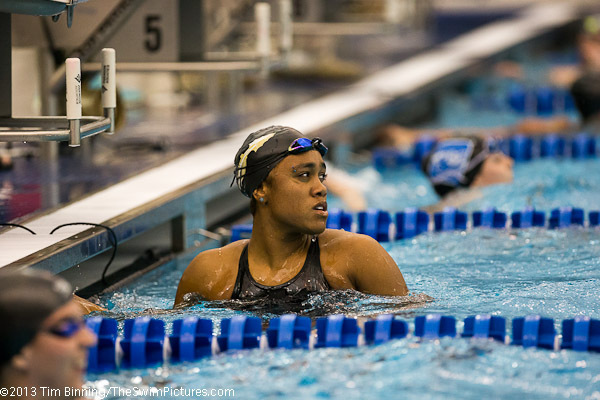 Williamson went 1:57.00. 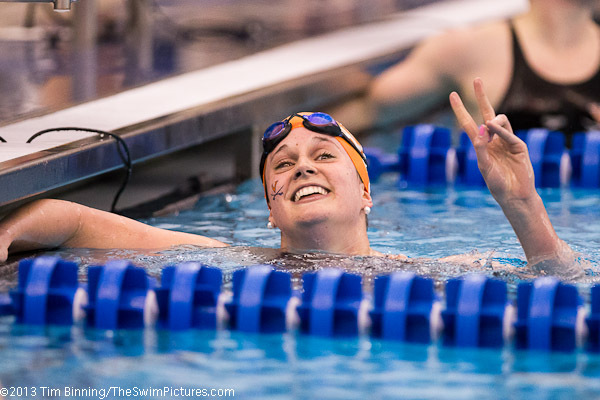 Tiffany Oliver of Florida State checks to scoreboard to see that she won the 50 free championship in 22.17, touching out UVA's Lauren Perdue who went 22.29.